The web offers a compelling platform for developing modern applications. How can free software benefit more from web technology, and at the same time promote more software freedom on the web? What would the world be like if FLOSS web applications were as plentiful and successful as traditional FLOSS applications are today? The web, as a collection of interlinked hypertext documents available on the Internet, has been well established for over a decade. However, the web as an application architecture is only just hitting its stride. With modern tools and frameworks, it’s relatively straightforward to build rich applications with browser-oriented frontends and HTTP-accessible backends. This architecture has its limitations, of course: browser compatibility nightmares, limited offline capabilities, network latency, performance challenges, server-side scalability, complicated multimedia story, and so on. Most of these are slowly but surely being addressed or ameliorated as web technology improves. However, for a large class of applications, these limitations are easily outweighed by the advantages: cross-platform support, instantaneous upgrades, global availability, etc. The web enables developers to reach the largest audience of users with the most compelling functionality, and simplifies users’ lives by giving them immediate access to their digital lives from anywhere. Some web advocates would go so far as to say that if an application can be built for the web, it should be built for the web because it will be more successful. It’s no surprise that new web applications are being developed at a staggering rate, and I expect this trend to continue. This trend represents a significant threat, and a corresponding opportunity, to free software. Relatively few web applications are free software, and relatively few free software applications are built for the web. Therefore, the momentum which is leading developers and users to the web is also leading them (further) away from free software. Traditionally, pragmatists have adopted free software applications because they offered immediate gratification: it’s much faster and easier to install a free software application than to buy a proprietary one. The SaaS model of web applications offers the same (and better) immediacy, so free software has lost some of its appeal among pragmatists, who instead turn to proprietary web applications. Why install and run a heavyweight client application when you can just click a link? Many web applications—perhaps even a majority—are built using free software, but are not themselves free. A new generation of developers share an appreciation for free software tools and frameworks, but see little value in sharing their own software. To these developers, free software is something you use, not something you make. Free software cannot afford to ignore the web. Instead, we should embrace the web more completely, more powerfully, and more effectively than proprietary systems do. treat web applications as first-class citizens. The web would not be just another application, represented by a browser, but more like a native application runtime. Web applications could feel much more “native” while still preserving the advantages of a web-style user experience. There would be no web browser: that’s a tool for legacy systems to run web applications within a compatibility environment. provide a seamless experience for developers to build web applications. It would be as fast and easy to develop a trivial client/server web application as it is to write “Hello, world!” in PyGTK using Quickly. For bonus points, it would be easy to develop and run web applications locally, and then deploy directly to a PaaS or IaaS cloud. empower the user to manage their applications and data regardless of where they are hosted. 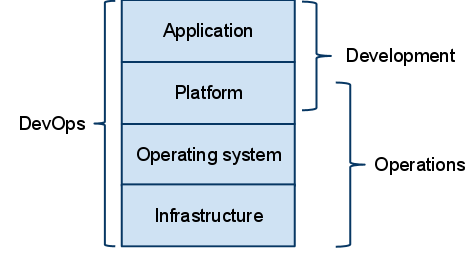 Traditional operating systems act as a connecting fabric for local applications, providing a shared namespace, file store and IPC mechanisms, but web applications are lacking this. The web’s security model requires that applications are thoroughly sandboxed from each other, but a mediating operating system could connect them in meaningful ways, just as web browsers store cookies and passwords for various websites while protecting them from each other. Imagine a world where free web applications are as plentiful and malleable as free native applications are today. Developers would be able to branch, test and submit patches to them. Chrome OS is a step in the right direction, but doesn’t yet realize this vision. It’s a traditional operating system which is stripped down and focused on running one application (a web browser) very, very well. In some ways, it elevates web applications to first-class status, though its paradigm is still fundamentally that of a web browser. It is not designed for development, but for consuming the web. Developers who want to create and deploy web applications must use a more traditional operating system to do so. It does not put the end user in control. On the contrary, the user is almost entirely dependent on SaaS applications for all of their needs. Although it is constructed using free software, it does not seem to deliver the principles or benefits of software freedom to the web itself. Just as free software was bootstrapped on proprietary UNIX, the present-day web is fertile ground for the development of free web applications. The web is based on open standards. There are already excellent web development tools, web application frameworks and server software which are FLOSS. Leading-edge web browsers like Firefox and Chrome/Chromium, where much web innovation is happening today, are already open source. This is a huge head start toward a free web. I think what’s missing is a client platform which catalyzes the development and use of FLOSS web applications. If you’re convinced that “cloud” is a useless buzzword, being used to describe everything under the sun, old and new, then…well, you’re right—that is, except for the “useless” part. It’s true that this word is being (ab)used in many different products, services and technologies, which do not seem to relate to each other in any concrete way. 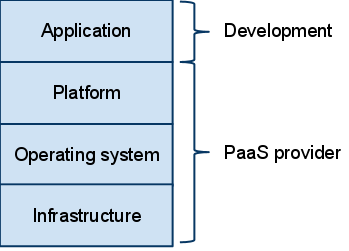 “Cloud” in the abstract is being defined in many different ways, based on different fundamental characteristics of “cloud technology”. Nonetheless, there is something genuinely important going on here, and this is my view of what it’s about. Countless business which only had “web sites” or “web applications” in 2008 now call them “cloud services”. They aren’t delivering any new benefits to their users, and they haven’t redesigned their infrastructure. What do they mean by this? Cloud is defined, some say, by where your data is kept, and “cloud” means storing your data on remote servers instead of internal ones. Millions of Gmail and Flickr users have been “in the cloud” without even knowing it, and so has everyone who reads their mail over IMAP, or uses voicemail. In short, cloud is just data that is somewhere else. Last September, I watched a presentation on “Cloud computing” where Symantec pitched their anti-virus product as having something like three different “cloud computing” technologies. These, it turned out, all involved downloading files over the Internet. In this view, cloud is essentially about the network, derived from our habit of using a drawing of a cloud in our network diagrams for so many years. Wikipedia currently shares this view, as its Cloud computing article opens with “Cloud computing is Internet-based computing”. No Internet, no cloud. Maybe cloud is just SaaS, and any service provided on a pay-per-use basis over the Internet is a “cloud” service. It would seem that cloud is about paying for things, especially on a “utility” basis. The cloud is computing by the hour; it’s something you buy. Others maintain that “cloud” is just virtualization, so if you’re using KVM or VMWare, you’ve got a cloud already. In this view, cloud is about operating systems, and whether they’re running on real or virtual hardware. Cloud means deploying applications as virtual appliances, and creating new servers entirely in software. If your servers only have one OS on them, then they’re not cloud-ready. If this vagueness and contradiction irritates you, then you’re not alone. It bugs me, and a lot of other people who are getting on with developing, using and providing technology and services. Cloud is not just a new name for these familiar technologies. In fact, it isn’t a technology at all. I don’t think it even makes sense to categorize technologies as “cloud” and “non-cloud”, though some may be more “cloudy” than others. Nonetheless, there is some meaning and validity in each of these interpretations of cloud. So what is it? Cloud is a transition, a trend, a paradigm shift. It isn’t something which exists or not: it is happening, and we won’t understand its essential nature until it’s over. Simon Wardley explains this, in presentation format, much better than I could in this blog post, so if you haven’t already, I suggest that you take 14 minutes of your time and go and watch him do his thing. This change doesn’t have a clear beginning or an end. Early on, it was a disconnected set of ideas without any identity. We’re now somewhere in the middle of the bell curve, with enough insight to give it a name, and sufficient momentum to guess at what happens next. In the end, it will be absorbed into “the way things are”. People and organizations are becoming more comfortable relying on resources which do not exist in any particular place. Rather than storing precious metals under our beds, we entrust our finances to banks, which store our data and provide us with services which let us “use” our “money”. In computing terms, we’re no longer enamored with keeping all of “our” programs and “our” data on “our” hard drive: as it turns out, it’s not very safe there after all, and in some ways we can actually exercise more control over programs and data “out there” than “in here”. We can no longer hoard our gold, or drive off would-be thieves with a pistol, but that wasn’t a productive way to spend our energies anyway. While we can’t put our hands on our money, we can know exactly what’s happening with it from minute to minute, and use it in a variety of ways at a moment’s notice. IT products are ceding ground to services. In many cases, we no longer need to build software, or even buy it: we can simply use it. As computing needs become better understood, and can be met by commodity products, it becomes more feasible to develop services to meet them on-demand. This is why we see a spike in acronyms ending in “aaS”. Simon explains the progression in detail in his talk, linked above. Hardware, software and data are being reorganized according to new models, in order to provide these services effectively. 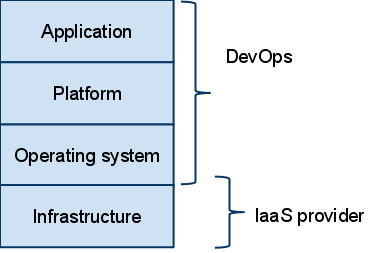 Architectural patterns, such as “hardware/OS/framework/application” are giving way to new ones, like “hardware/OS/IaaS/OS/PaaS/SaaS/Internet/web browser/OS/hardware”. These are still evolving, and the lines between them are blurry. It’s a bit early to say what the dominant patterns will be, but system, network, data and application architecture are all being transformed. No single technology or architecture defines cloud, but virtualization (at the infrastructure level) and the web (at the application level) both seem to resonate strongly with “cloudy” design patterns. These trends are reinforcing and accelerating each other, driving information technologies and businesses in a common direction. That, in a nutshell, is what cloud is all about. Operating systems – Cloud seems to indicate further commoditization of operating systems. We will have more operating systems than ever before (thanks to virtualization and IaaS), but we probably won’t think about them as much (as in software appliances). I think that the cloud world will want operating systems which are free, standard and highly customizable, which is potentially a great opportunity for Ubuntu and other open systems. Software freedom – As Eben Moglen and others have pointed out, this trend has significant consequences for the free software movement. As the shape of software changes, our principles of freedom must evolve as well. What does it mean to have the freedom to “run” a program in the cloud? To copy it? To change it? What other protections might people need in order to exercise these freedoms in the future? DevOps – I see a strong resonance between cloud—which is blurring the lines between hardware and software, infrastructure and applications, network and computer—and DevOps, which is bringing together the people who currently work in these different categories. Cloud means that we can no longer afford to treat these elements separately, and must work together to find better approaches to developing and deploying software, knocking down barriers and mapping new territory. Fortunately, cloud also means developing powerful new tools which will power this revolution. Clients – A majority of cloud related activity seems to be focused on what happens to back-end servers, but what about the computers we actually touch, on our desks, and in our pockets? How will they change? Will we end up reverting to a highly centralized computing model, where clients are strictly limited to front-end user interface processing (e.g. a web browser)? Will clients “join” the cloud and be providers of computing resources, not only consumers? What new types of devices will we need in order to make the most of cloud? I’d like to explore some of these topics in future posts. I was talk-hopping today, so none of these are complete summaries, just enough to capture my impressions from the time I was there. I may go back and watch the video for the ones which turned out to be most interesting. As participants leave each talk, they pass a basket with a red, a yellow and a green square attached to it. Next to the wastebasket are three small stacks of colored paper, also red, yellow and green. There are no instructions, indeed no words at all, but the intent seemed clear enough: drop a card in the basket to give feedback. The talks were spread across multiple floors in the conference center, which I find is usually awkward. They mitigated this somewhat by posting a directory of the rooms inside each lift. Which calibre is right for me? Chris offered some familiar warnings about cloud technologies: that they won’t solve all problems, that effort must be invested to reap the benefits, and that no one tool or provider will meet all needs. He then classified various tools and services according to their suitability for long or short processing cycles, and high or low “data sensitivity”. I actually missed Simon’s talk this time, but I’ve seen him speak before and talk with him every week about cloud topics as a colleague at Canonical. I highly recommend his talks to anyone trying to make sense of cloud technology and decide how to respond to it. In some of the talks yesterday, there was a murmur of anti-cloud sentiment, with speakers asserting it was not meaningful, or they didn’t know what it was, or that it was nothing new. Simon’s material is the perfect antidote to this attitude, as he makes it very clear that there is a genuinely important and disruptive trend in progress, and explains what it is. Crossing the line, pushing the limit or rediscovering the agile vision? Jesper shared experiences and lessons learned with Kanban, and some of the problems it addresses which are present in other methodologies. His material was well balanced and insightful, and I’d like to go back and watch the full video when it becomes available. Here again was a clear and pragmatic focus on matching tools and processes to the specific needs of the team, business and situation. Paradigm Shift or the Same Old Same Old? Ümit focused on the PaaS (platform as a service) layer, and the experience offered to developers who build applications for these platforms. An evangelist from Salesforce.com, she framed the discussion as a comparison between force.com, Google App Engine and Microsoft Azure. Eric tackled the question of how to approach the problem of design within the agile framework. As an outspoken advocate of domain-driven design, he presented his view in terms of this school and its terminology. He emphasized the importance of modeling “when the critical complexity of the project is in understanding and communicating about the domain”. The “expected” approach to modeling is to incorporate an up-front analysis phase, but Eric argues that this is misguided. Because “models are distilled knowledge”, and teams are relatively ignorant at the start of a project, modeling in this way captures that ignorance and makes it persist. Eric illustrated his points in part by showing video clips of engineers and business people engaged in dialog (here again, the focus on people rather than tools and process). He used this material as the basis for showing how models underlie these interactions, but are usually implicit. These dialogs were full of hints that the people involved were working from different models, and the software model needed to be revised. An explicit model can be a very powerful communication tool on software projects. He outlined the process he uses for modeling, which was highly iterative and involves identifying business scenarios, using them to develop and evaluate abstract models, and testing those models by experimenting with code (“code probes”). Along the way, he emphasized the importance of making mistakes, not only as a learning tool but as a way to encourage creative thinking, which is essential to modeling work. In order to encourage the team to “think outside the box” and improve their conceptual model, he goes as far as to require that several “bad ideas” are proposed along the way, as a precondition for completing the process. Eric is working on a white paper describing this process. A first draft is available on his website, and he is looking for feedback on it. areas of the system which seem to require frequent change across projects/features/etc. This was a very compelling talk, whose concepts were clearly applicable beyond the specific problem domain of agile development. In the 9.10 release of Ubuntu Server Edition, we introduced something new for people who are exploring cloud computing using Amazon’s Elastic Compute Cloud (EC2). If you haven’t tried it yet, EC2 is essentially an API for managing virtual servers. Using a command line tool or script, you request a new VM, and moments later, it is ready for you to ssh in, preconfigured with your ssh public key. When you’re finished, you shut it down, and receive a bill for only the time and Internet bandwidth you used (about $0.10 per hour and $0.10-$0.17 per gigabyte). There is no downloading, no installing, and no hardware required for you to set up a server. The first step is to boot it up. Starting with release 9.10, every release of Ubuntu Server Edition is simultaneously available on EC2. This means you can have a new Ubuntu server up and running using your EC2 account with a single command. Ready-to-run Ubuntu machine images are published on EC2 whenever a new Ubuntu release or milestone is available. All you need to know is the AMI, a short string which uniquely identifies the image you want. The AMIs for the 9.10 release are on the download page, in 32- and 64-bit versions for US and Europe zones. Similarly, all Server Edition development builds are available on EC2 as well. When the first builds of Lucid (Ubuntu 10.04) are created, there will be AMIs for those as well. If you want to test drive a new feature, or check compatibility with your application, just fire up a new instance on EC2, do your work, and then terminate it. The whole process can be completed in less than a minute. If you find a problem in our development builds, just run ubuntu-bug on the virtual machine as you normally would, and apport will automatically attach the relevant EC2 details to your bug report. As I mentioned above, EC2 does charge for Internet bandwidth. It does not charge for local bandwidth within your EC2 zone. For this reason, Canonical has set up Ubuntu archive mirrors within EC2, so that you can download all Ubuntu packages and updates for free. Ubuntu virtual machines inside EC2 are automatically configured to use the appropriate mirror, so you don’t need to think about it. This is an exciting step forward in making Ubuntu more convenient and powerful to use on EC2, and I encourage you to give it a try. If you’ve never used EC2 before, just follow our Starter’s Guide to get set up.